St. John's By-the-Sea Episcopal Church was founded in 1931 to minister to local Hawaiian fishermen and their families. Today our little rural church in Kāne‘ohe has reaped a rich spiritual harvest. While still predominantly Hawaiian, our congregation is an increasingly eclectic mix of people who relish the warmth and informality at St. John's. We strive to live out our Christian faith through our love for God, for each other, and for the world around us. 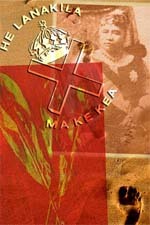 St. John's by-the-Sea Episcopal Church continues to honor its Hawaiian heritage by singing hymns in Hawaiian as well as English, by incorporating Hawaiian values into all the church’s activities, and by conducting the Holy Eucharist partly or completely in the Hawaiian language several times a year. These services honor and commemorate the lives of our ali‘i. All are welcome; please join us!